Comfort and luxury should never be compromised. That’s why we carry original Lincoln parts and accessories in our unparalleled parts warehouse in the midst of the Inland Empire. 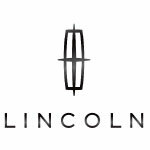 From exterior and interior Lincoln accessories like fog lights, door handles, and floor mats to major Lincoln parts like brakes calipers, tie rods, and coolant reservoirs, you can expect to get only the best in terms of quality and performance. Founded in 1917 by engineering whiz Henry M. Leland, the company began by suppling Liberty aircraft engines during World War I. After the war concluded, the factory was converted and focused on manufacturing luxury automobiles. In 1922, Leland sold his company to Ford. Today, the brand is the epitome of class and style.